I am trying to connect my raspberry pi to my hardwired doorbell in order to send a text message when the doorbell button is pushed. 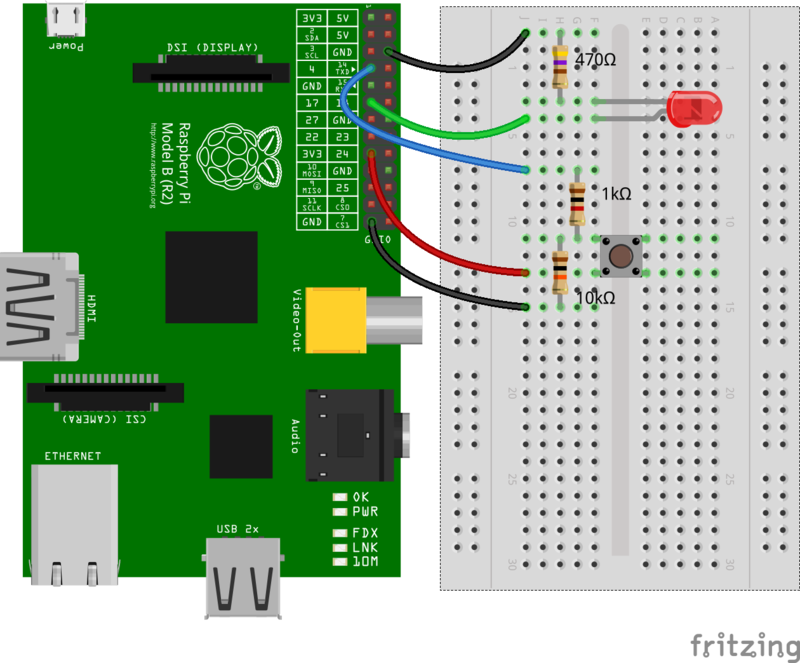 I have successfully sent the text message using a button connected to the breadboard but I am unable to do so when connecting the breadboard with resistors and raspberry pi to the cables wired to the doorbell itself. I believe this is due to the circuit and not the software. My thinking was that since the doorbell has its own button, I should be able to replace the button on the breadboard with the doorbell button itself. The difference however, is that the doorbell button emits its own voltage. How should I be wiring my doorbell to the rpi, which emits a voltage of approximately 3V when the doorbell button is pushed after the current has passed through the resistors? If it were me, I'd be looking to connect the door bell power to a relay then replace your pushbutton using the relay contacts. Much safer and isolates your rpi from any nastiness on the doorbell power. You'll need to know the doorbell's voltage and if it is AC or DC to get the correct relay. Light Controller System Help - What should I use in my build to individually control multiple lights?